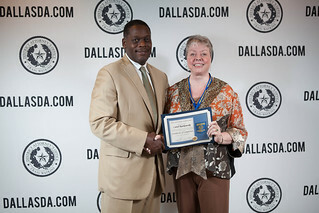 The mission of the Dallas County District Attorney’s Citizen Prosecutor Academy is to enable Dallas County residents to be exposed to the numerous procedures within the Dallas County District Attorney’s Office. This will provide Dallas County residents the opportunity to engage in open dialogue with prosecutors and leaders in the community, and discover the practices and methods of the judicial process. Our goal is to inform citizens who will share their experience with neighbors, friends, and family in their communities. The Dallas County District Attorney’s (DA) Citizen Prosecutor Academy is an initiative designed to provide a comprehensive educational program to citizens interested in the criminal justice system and the day-to-day operations at the DA’s office.